Whether your planning a trip to Maui this year or you live here, below are some unique festivals to mark your calendars for. The Celebration of the Arts takes place in late March/ early April at the Ritz-Carlton Kapalua resort. The festival celebrates Hawaiian arts and cultural practices of the past, present and future. This is an interactive way to learn more about Hawaiian culture from local artisans, cultural practioners, filmmakers and entertainers. The East Maui Taro Festival takes place in Hana town in April. Here you will be able to taste taro, the Hawaiian staple food, prepared in a variety of creative ways. There is also taro pounding you can participate in, hula preformances and a craft fair. I've been to the East Maui Taro Festival many times and it is one of my favorite reasons to make the drive out to Hana! The Maui Film Festival is held in Wailea in June. It features both celebrations of food and film during a 5 day festival. Events include the Taste of Summer Opening Party, Taste of Wailea grazing dinner and Celestial Cinema The last of these featuring under-the-stars film screenings on the Wailea Golf Course. The festival schedule also includes film premieres, gala parties, celebrity appearances, and lots of live entertainment, music and dance. P.S. - The Hawaii Department of Housing and Human Concerns is currently conducting a Housing Planning Study. Residents are being contacted by phone with questions in regards to current housing programs and future policy decision making. We encourage you to participate if contacted as the information will be used in providing affordable housing for the community. Just across the street from several secluded West Maui beaches. Discover the private, gated neighborhood and warm, inviting beauty of this 3 bed, 2.5 bat, 2 car garage home with the living/kitchen area and master bedroom on the main floor. Polished single family, 3 bed, 2 bath home in Maui Lani neighborhood, The Islands. 35 Kamalei sits on the bluff over looking Maui Lani golf course and the entire North Shore, you can watch the cruise boat dock at Kahului Harbor and the kite boarders at Kanaha. $1.175M (FS) Enjoy fantastic bi coastal views from this beautifully designed ultra contemporary 3 bed, 3.5 bath, 3,424 sq ft home. The architectural features are the high vaulted ceiling with recessed lighting, large picture windows, a secret passageway, spiral staircase into 2 large family rooms, and a very nice modern kitchen with a built-in breakfast nook. $1.279M (FS) Beautiful 3 bed, 2 bath home nestled in Keawakapu Views Subdivision and extremely close to Maui's South Shore Coastline. This location provides very easy access to the world renowned Keawakapu Beach. Morning walks along the white sandy shore or evening sunsets will be memories you will treasure. The neighboring resort community of Wailea has exquisite dining and amazing golf courses for your pleasure. $2.68M (FS) A meticulously built and cared for Gem of a Property that boasts vast, panoramic ocean and island views. 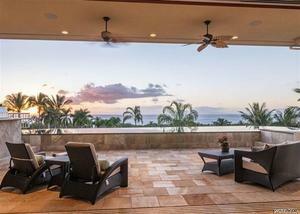 Perched above the West Maui coastline at the highest viewpoint of Kapalua’s Pineapple Hill, this3 bed, 4 bath, 4,100 sq ft home features impressive interior design, thoughtful layout and the finest quality constructed materials. This home is positioned perfectly along the beltway creating added privacy in the desirable neighborhood of Waikapu Garden’s. This 3 bed, 2 bath, single level home offers an open concept floor plan with 1,454 sq ft of interior living space. You'll love this home sweet home on 2 luscious acres in a park-like setting on Maui’s epic North shore. Enjoy country living, privacy and space with the convenience of being close to shops, restaurants and cafes in Haiku and Makawao. The owners love stargazing from the fire pit on this quiet moonlit street. Off the grid, quiet and private retreat in Haiku. Shared dirt road leads to a 1,000 sq ft 3 bed, 1 bath main home. There is a 1,200 sq ft 1 bed, 1 bath cottage plus an 200 sq ft “Ag office.” A 25,000 gallon water tank with a well, all on Irregular lot of 4.26 acres. This property consisting of a 5 bed, 2.5 bath main home, a 1 bed, 1 bath "NO-hana" (non-conforming mother-in-law unit upstairs) plus a separate 1 bed, 1 bath Ohana cottage in back with separate electric meter. $950K (FS) This lovely home has vaulted ceilings in the great room with many big windows and engineered hardwood floors. Great Haleakala views from living room which opens onto the large lanai. Upstairs are 2 beds, 2 baths, plus a beautifully remodeled kitchen with upgraded appliances. There is also a 1 bed, 1 bath ohana. Incredible beachfront location with year-round sunsets and exquisite unobstructed ocean views. End of building side window adds light and spacious feel. Rarely available 1 bed, 1 bath unit on the top floor of the low-rise building. The only 1 bed, 2 bath unit for sale in wonderful Wailea Elua. Walk off the spacious lanai across the lawn to beautiful Ulua Beach. This is one of five wonderful Wailea beaches. New washer and dryer. This unit is located in the "Inner Circle" and consequently, is booked solid. Life on the sand. 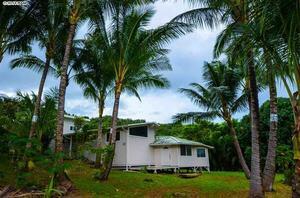 An immaculate 2 bed, 2 bath vacation home perfectly placed directly on Kamaole One Beach. Your back yard is the beach and the Pacific Ocean. Completely remodeled and upgraded, this is a premier property. Sapele wood cabinets and accents, rolling privacy blinds, beach pebble wainscoting, 18" porcelain tile flooring, high-end appliances and a private courtyard off of the bedrooms. Wailea Point is prominently positioned upon the 28 ‘Premier Oceanfront' Acres in World Class Wailea Resort, next door to The Four Seasons. It offers guard gated and 24 hour roving security. Wailea Point #2302 is a 3 bed, 2 bath ‘Superb View Oriented Residence’ within this low density, revered, lush tropical paradise. Hawaiian Plantation Ambiance. This highly sought after complex is located just steps away from the beach. Amenities include a beautiful pool, Jacuzzi, tennis court and upgraded BBQ/ picnic area. The monthly maintenance fee does include electric due to the association owned photo voltaic system. $545K (FS) Set in a prime location, Unit C108 is on the exterior of the "C" Building with convenient access to the spectacular zero-edge Saline pool, relaxing pavilion, comfortable cabanas and parking. This smartly designed ground floor residence features an open floor plan with 2 spacious bedrooms, 2 full bathrooms and additional living space. Pleasant ocean views and upgrades galore in this 2 bed, 2 bath condominium in one of south Maui's most desirable complexes. Upon entering the property you are greeted with a beautifully updated kitchen, stainless appliances, granite counter tops and custom wood cabinets with soft close drawers. Wailea Palms 3706 is an upstairs “B” plan with 2 beds and 2 baths. Oriented towards the peaceful neighborhood of Papali Wailea, the partially covered and tiled lanai offers sunset and ocean views with the West Maui Mountains in the background. A recent and thoughtful renovation, seemingly enlarged the living area and created additional cabinet storage spaces. Beautiful ocean and outer island views and Haleakala views from this second floor, 2 bed, 2 bath brand new unit. Unfurnished with 2 parking spaces, 1 covered and additional storage in the car port. A great opportunity to own a 2 bed, 1.5 bath condo with ocean and West Maui Mountain views located on the 2nd floor of Puuone Towers. There's a pool with entertainment pavilion and the building has 2 elevators with secured entrances. One assigned parking stall. Located in Wailuku with nearby shopping malls, restaurants, Maui Arts and Cultural Center, Medical Centers, and parks. $295K (FS) Fabulous corner end unit at Haleakala Gardens is a spacious studio with tons of natural light. Vaulted ceilings, tiled floor, built in storage, and open kitchen make this unit feel spacious. No neighbors above or below, one parking space and close to beaches and shopping. $595K (FS) Located on Maui's desirable South Shore, Hale Kanani sits directly across from the ocean. This impeccably cared for, spacious 3 bed, 2 bath unit is situated towards the back of the complex which allows for a peaceful, private setting. With it's open kitchen, dining, and living room, this unit has a very desirable floor plan with extra natural light and breezes due to the additional windows from it's corner location. $295K (FS) Very private and rural setting on the north side of Wailuku River in Iao Valley. Very convenient to the amenities that Wailuku Town offers but feels miles away in terms of ambiance. This parcel (Lot A-5) is one of 7 serviced by a private road easement with a gated entrance at the top of Mokuhau Rd.